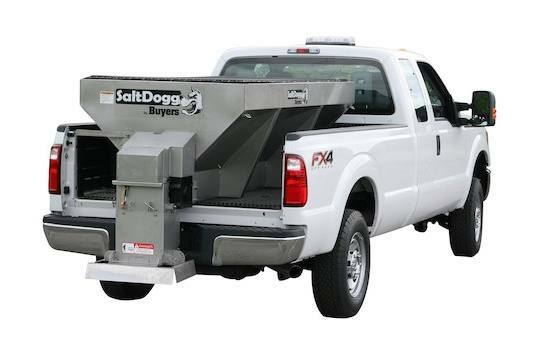 Buyers Products SaltDogg 2 Cubic Yard Electric Stainless Hopper Spreader is ready for commercial use. The 8 ft spreader can fit in the back of an extended-bed 1 ton truck and will work with bulk sand and a sand/salt mix. Its electric-powered design means quieter, time saving operation with no need for refueling or engine servicing.